January is a time of new beginnings. The gyms are full of people resolving to get strong and healthy. Lists of good intentions are made with zealous efforts to start the year right. Some are thinking ahead and already prioritizing schedules for vacations and special events. Discipline seems easier after a season of feasting. With full stomachs and full lives, we are comfortable thinking about cutting back and making some changes. It won’t hurt too much. But what about a different resolution this year? A less comfortable one? One which is guaranteed to stretch us but also promises lasting results that can change hearts and lives? There are more Muslims living in the United States right now than in any time in history. They do not reside only in urban centers; they are creating quiet communities in rural areas, suburban neighborhoods, industrial towns. We have been given an opportunity like never before to know them and be an authentic witness of Christ in their lives. The Muslim world has come to us. How about resolving to get to know them better this year? Here are three ways you can do just that. Make a commitment to pray. Join Crescent Project every Friday at noon (noon in whatever timezone you live) and pray for Muslims to receive an authentic witness of Jesus Christ. Go ahead and set an alarm on your phone to remind you to pray at this time each week. Ask God to open your heart to Muslims. If you do not know any Muslims and think there are none near you, ask Him to bring them to your attention locally, to bring a Muslim into your life. Begin praying personally and regularly for those in your church or another organization who work with Muslims. Get to know them and ask them about their ministry. Contact Crescent Project and learn who the area representatives are near you. Study what the Bible teaches about our response to those who do not know Jesus as Lord. What does it say about fear? About those we perceive to be our enemies? Make a list of what hinders you from being more intentional in this area. Then use a concordance to look up key words to discover what the Bible says about your concerns. God’s Word will give you strength and point you toward your Muslim neighbors and their need to know Jesus the Messiah. Commit to intentionally spend time with a Muslim. This might mean visiting a restaurant, a park, or other business owned by Muslims, and saying hello. Go to a halal* market and buy meat. Ask the butcher to share a recipe or how he prepares it. He’ll be happy to teach you! If you are unsure how to locate such places, check out a website like Salatomatic.com or islamicfinder.org. Both sites provide information about local mosques and businesses. Find out where people are reaching Muslims in your town or region and join them. There are many churches and non-profit groups providing services to refugees. Ask around and keep praying to connect with them. If you already have Muslim friends or neighbors, take the relationship to the next level. Invite them out for coffee, or if you are a woman, invite them to your home. Visit local parks and look for opportunities to connect through exercise or children’s play groups. Equip yourself with knowledge about what Muslims believe, and how Islam compares to Christianity. Take a course like Bridges to learn how to be an ambassador of Christ to Muslims. Find a local Perspectives course to learn about God’s global purpose and your role in it. 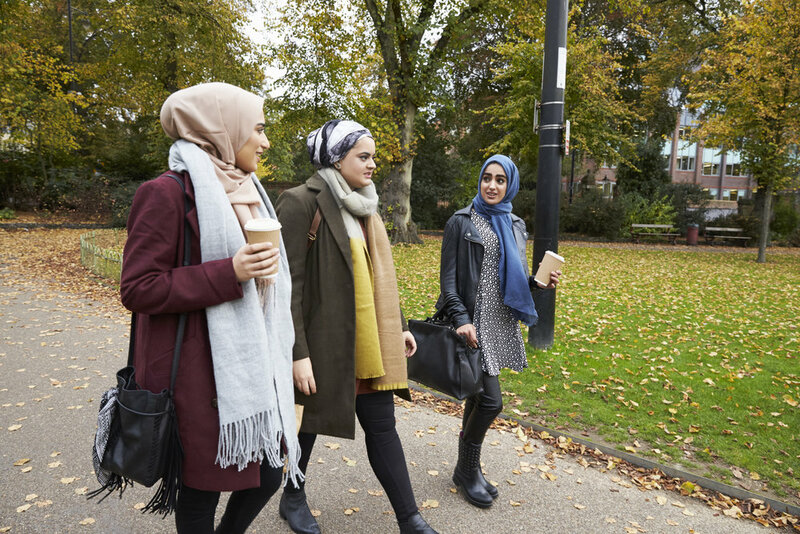 Learn about the specific culture of the Muslims you meet. Although Islam ties them together with a common belief system, Muslims come from many different cultures around the world. Ask them to teach you about theirs. Food and sports are both fun and easy ways to learn culture from one another. Read a book on an Islamic topic in which you are interested. Are you curious about the phenomena of dreams and visions in the Muslim world? Consider reading Dreams and Visions: Is Jesus Awakening the Muslim World? (Doyle, T., and Webster, G, 2012). Do you prefer biographies? There are many inspiring biographies available, such as Captive in Iran, (Rostampour, M., and Amirizadeh, M., 2014) the powerful story of two former Muslim women who risked everything to follow Jesus. You do not have to know everything about Islam to know Muslims. If you have ever been a friend, if you have ever offered kindness or a listening ear, if you have ever helped someone, you are equipped to build relationships with Muslims. All that is really needed is a willing heart. God cares for Muslims, and many are seeking to know Him. Your sincere example of Christ’s love may make all the difference in their journey. Take an intentional step this year to get to know Muslims better. It is a chance with eternal consequences, and it’s worth taking. *Halal refers to meat prepared according to Islamic law. A simple, yet powerful step you can take right now: start praying for Muslims. Join us as we pray for Muslims in light of world news, ministry events and challenging issues. Sign up for Crescent Project's bi-monthly Call to Prayer e-mail today! Newer PostHow Does a Radical Muslim Come to Christ?